This really depends on your own expectations and needs regarding your property but in principle we take care of every aspect of property management. In order to relieve you of this headache and hassle we worry about really everything and anything tied to the property. This begins with preparing the property for rental and setting the appropriate rental fee. We then manage the entire rental process that includes advertising the property, filtering and screening potential tenants and managing the negotiation process until a proper contract is signed. We make sure the tenant clearly understands everything about the ongoing operations of the property and visit every property on a regular basis both by appointment as well as by surprise visit. We make sure all bills are paid in a timely fashion and collect the rent- we can even deposit it in your account if you wish. We gladly arrange all repairs necessary. As soon as Eden is in the picture you will no longer have any need to be in contact with the tenants. 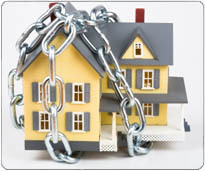 What you will have is the peace of mind that we are carefully watching over and maintaining your investment.